Perhaps it’s just because I’ve never served as a delegate, but there are few church-related events I enjoy more than classis meetings. There is something of a foretaste of heaven fellowshipping with godly men from across the eastern seaboard, watching them work through difficult issues with grace and wisdom, and witnessing their unified decisions to work for the advancement of Christ’s kingdom. Veteran readers of this blog may remember that I wrote about last year’s spring classis meeting way back here. 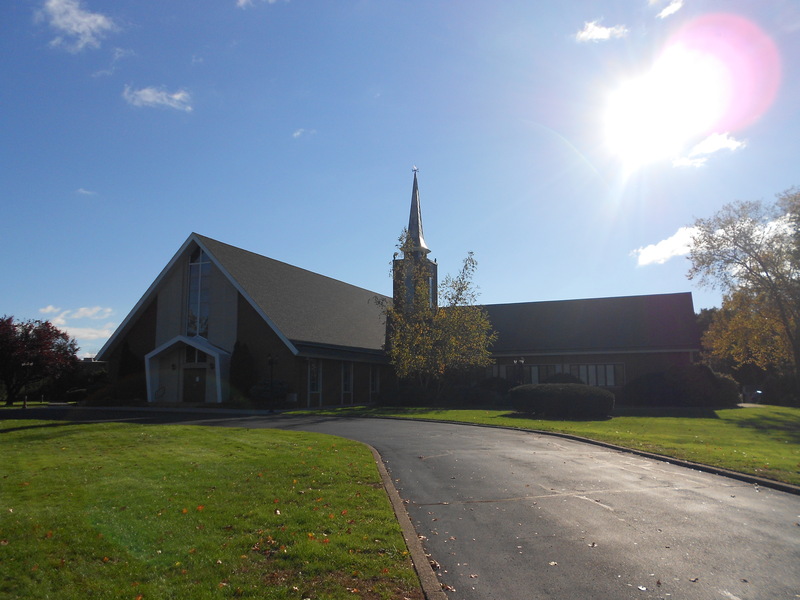 The classis to which my church belongs, Classis Eastern US of the United Reformed Churches in North America, most recently met at Covenant URC in Carbondale, PA, last Friday. It included the most grueling trip of the five classis meetings I’ve attended thus far (we departed Long Island at 3:45 am and didn’t arrive back home until 10:15 pm), but it was also one of the most uplifting. And, since four years of college will most likely prevent visits to future meetings for a while, I made sure to enjoy this one to the utmost. For those unfamiliar with Reformed church government, the classis consists of two delegates (usually a pastor and an elder) from each of the eleven congregations along the East Coast. These men gather to make decisions for the collective benefit of the churches—not to contradict or supersede the authority of the individual consistories, but to put our ecclesiastical unity into practice by seeking common goals. W hile I could write an entire blog series outlining and evaluating the discussions and decisions that occurred in Carbondale last Friday, I’ll attempt to be brief. It seems hardly an exaggeration to say that Classis Eastern US is exploding—in a wondrous way. Our one currently active church plant, Christ Reformed Church in Washington, DC, is in the process of organizing into a fully functioning church. Under the leadership of Mr. Sam Perez, who will be ordained DV at the end of this month, Messiah’s Reformed Fellowship in NYC will soon begin a church plant just across the Hudson River in Jersey City, New Jersey. Seminarian Zac Wyse is making similar efforts to start a URCNA plant on the west side of Cincinnati, Ohio. Three churches or core groups in Pennsylvania, Maryland, and Georgia are currently looking to join our classis. And just this week I received word that another URCNA-focused core group is forming in Danbury, Connecticut! Along with church planting, pursuing ecumenical unity with other Reformed denominations is a vital aspect of the health of our classis. This particular meeting included fraternal visitors from the Presbyterian Church in America, the Associate Reformed Presbyterian Church, the Orthodox Presbyterian Church, the Reformed Presbyterian Church in North America, and the Canadian Reformed Churches. Psalm-singing was featured prominently, and I think profitably, in discussions with the representatives from the RPCNA and the CanRC. In addition, Mr. Joel Pearce, the Eastern representative of the URCNA Psalter Hymnal Committee, presented an informative update on their project. For all the prospective church plants in our area, Classis Eastern US needs ministers—and the Lord seems to be providing those as well. One current student at Mid-America Reformed Seminary was in attendance at the meeting; the delegates also approved the disbursement of classical funds to help pay for the tuition costs of two other prospective seminarians. The growth of our little federation on the east coast is so great that, as one pastor has expressed it, “The ripe fruit is so abundant that it is falling out of the tree for want of enough hands to gather it up.” All glory be to God! One of the elements of classis that I find most encouraging is the heartfelt prayers of the delegates—at the beginning and end of the meeting, and after just about any major decision. At this particular meeting, however, some of the most moving prayers came by way of song. That, in fact, brings us to today’s Featured Recording. Covenant URC in Carbondale worships in the quaintly cozy building of an old Lutheran church on Church Street in the downtown. 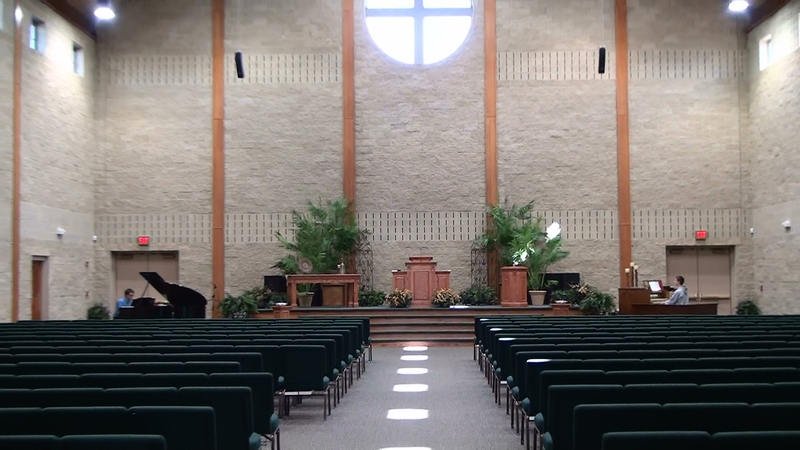 I’ve interspersed pictures of the sanctuary throughout this article. 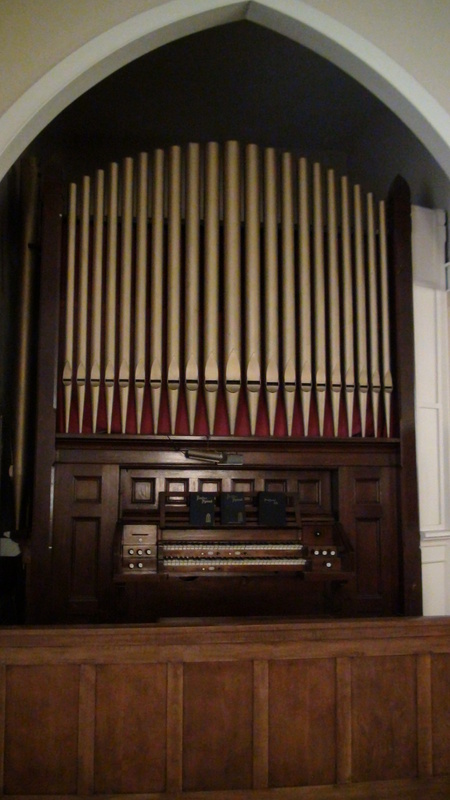 The pride and joy of the building is its ancient pipe organ, which I had the privilege of playing that day. Thankfully I had thought to bring my video camera and was able to record all of the day’s music. Below the delegates sing the rich missionary hymn “Far and Near the Fields are Teeming,” number 405 from the blue Psalter Hymnal. Chairman Rev. Aaron Verhoef selected this hymn to accompany his opening devotions; how perfectly it complements the desire and outlook of our churches! URC Psalmody’s YouTube channel now includes five other recordings from that day. 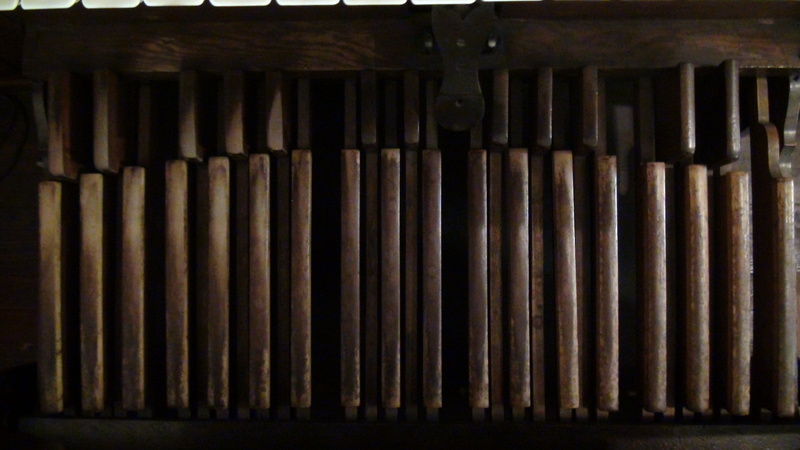 During a hasty practice session during the lunch hour, I recorded organ improvisations on Psalter Hymnal numbers 55 (“How Blest is He Whose Trespass”), 165 (“Our Gracious God Has Laid His Firm Foundations”), and 172 (“My Mouth Shall Sing for Aye Thy Tender Mercies, Lord”). After hearing Rev. William den Hollander’s address on behalf of the Canadian Reformed Churches, the delegates sang #287 (“With All My Heart Will I Record”), a setting of Psalm 138 in the Genevan style. And this group of weary but joyful men closed their day with the singing of #490 (“Praise Ye the Lord, Ye Hosts Above”). and united in true faith. 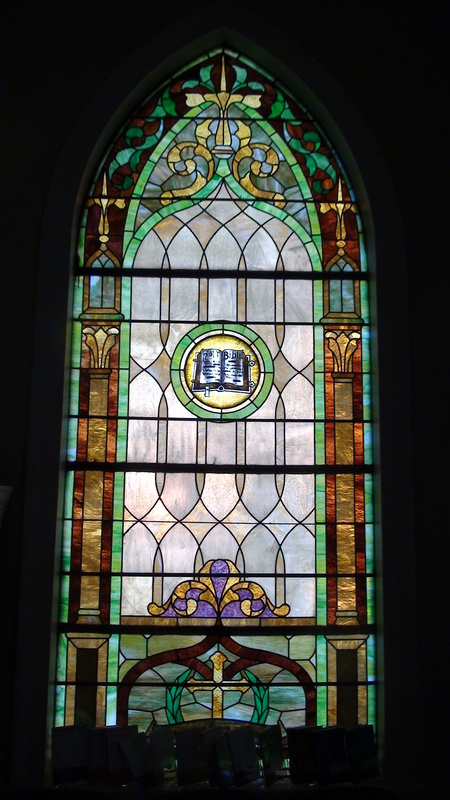 Loyal readers of URC Psalmody may notice that the blog has been sitting on the proverbial back burner for a little while, at least as far as my contributions are concerned. That’s certainly not because my life has lately become quiet and unexciting! Rather, it’s mostly due to a nine-day road trip that took my family from the fall 2012 meeting of Classis Eastern United States to the suburbs of Chicago and back again. Along the way we had the chance to visit the Preakness Valley United Reformed Church in Wayne, NJ, and worship with the saints at Community United Reformed Church in Schererville, IN. 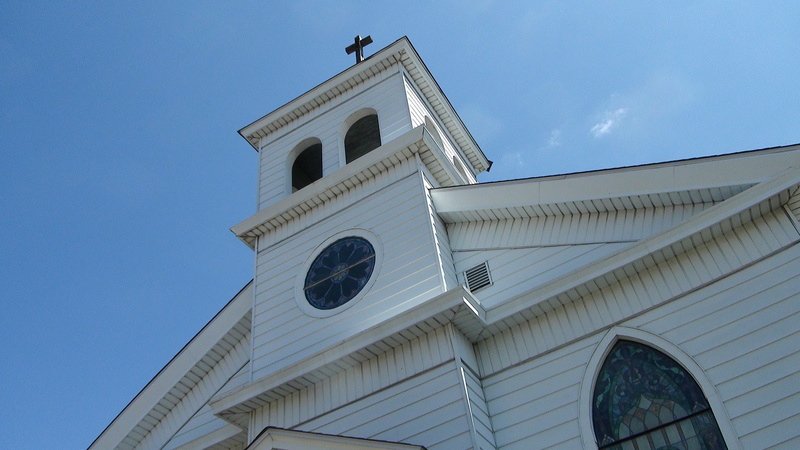 There are plenty of things to fascinate the Reformed mind in the area around Schererville. There are lots of United Reformed congregations in the area. 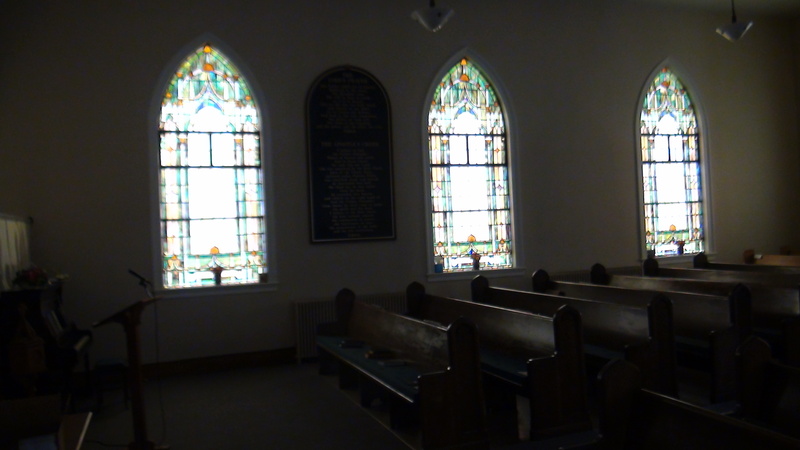 There’s Mid-America Reformed Seminary in nearby Dyer. And there’s Jim Oord. Over the weekend Jim arranged for the two of us to accompany the morning worship service at Community URC on organ and piano—a fantastic experience since both instruments were top-notch. We enjoyed creating arrangements of Psalter Hymnal numbers 48, 49, 160, and 287 on the fly for service music, and accompanying the congregation in singing well-chosen psalms and hymns was incredibly uplifting. Even more incredibly, Jim invited me to give a presentation during Community’s adult Sunday school session on “Psalms for a New Generation.” This was the first of its kind, and I was truly apprehensive. By God’s grace, however, I managed to present the material without losing my sanity, and from the feedback I got it seems to have been well-received. 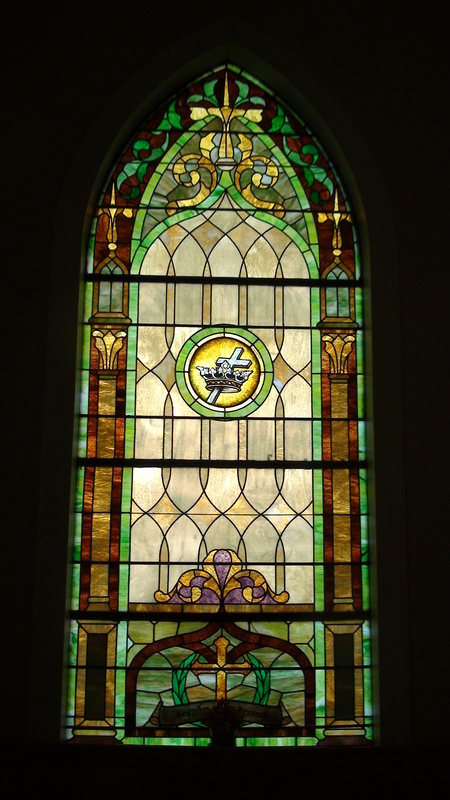 Recordings of the class should be available online in the near future, via YouTube or even SermonAudio.com. On Tuesday I sat in on a few classes at Mid-America, enjoyed lunch with one of the faculty members, and got to catch up with some friends from synod and RYS. Jim joined me there in the afternoon, where we recorded a special video version of our ongoing discussion series on Sing a New Song. Awaiting editing, that presentation should also be up within a week or so. Along the way, we had the chance to share our passion for the psalms with a wide variety of people. I was immensely encouraged just by the instruction and encouragement I received during this trip, and by the unique fellowship that only Christians can share. The journey had its setbacks, but it was nevertheless a time of much-needed growth. All of this to say: I hope you’ll bear with me as I get back into the flow of things here on URC Psalmody. Expect some more posts and our “regular features” to pop up over the course of the next few days. I am excited to see how God will continue to use this humble little blog to bring glory to his Name. But for now, I will continue to be haunted by the realization that the newest speaker on SermonAudio might be someone who’s not even old enough to vote. After a series of overtures spanning multiple pages, it’s a relief to see that Overture #9 occupies only one page. Nevertheless, this overture is no less weighty than its companions. Grounds: This overture doesn’t include any comments or examples besides the above requests. The grounds provided by Classis Western Canada are brief enough that I’ll include them here in their entirety. “This is in keeping with the expressed desires of previous synods that a URCNA songbook be created. “This alleviates unrest in the churches concerning various proposals, publications and comments concerning the present, partially proposed songbook which has created controversy in the churches. “This clarifies an underlying understanding that the blue Psalter Hymnal is not being jettisoned. “This allows for possible further contact with the OPC should synod so request and approve of such, without the URCNA having to wait for an updated songbook. My comments: The first two grounds seem reasonable enough. I’m unsure of the meaning of the third; whose underlying understanding is it that the blue Psalter Hymnal is not being jettisoned? Perhaps some affirmation to this extent was given at Synod 2010, of which I’m simply not aware. Grounds 4 and 5 don’t seem relevant to the overture, and the fifth ground (“taking all the time necessary”) doesn’t seem to mesh well with the first request (“proceed towards the publication…without further delay”). But my reaction might simply be a result of the fact that I don’t understand Overture #9 as well as I would like to. Questions for discussion: What necessitates a quicker push towards publication of a new songbook? 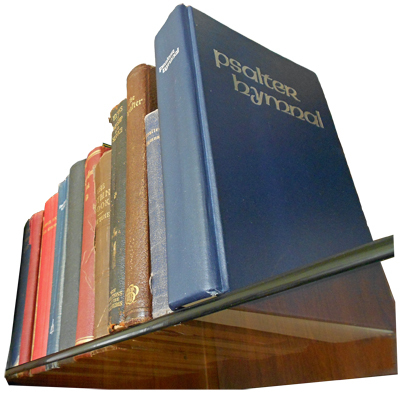 Would the debates over the URC’s psalms and hymns be better resolved if we began using the URC Psalter Hymnal sooner, or held off on publication for several more years? What if the compilation of the OPC is already vastly different than the blue Psalter Hymnal—should the URC proceed to work with them, or insist on a blue-based songbook? Your responses are most welcome. See p. 91 of the Provisional Agenda for the entirety of this overture. Following is my synopsis of the content of Classis Western Canada’s overture entitled “Modify Songbook” in the provisional agenda for Synod 2012. Key ideas: Classis Western Canada divides their concerns into six primary matters, which I’ve compacted below. The Songbook Committee’s argumentation for discontinuing the use of the name Jehovah (see the answer to Question 10 on the Committee’s FAQ page) “is unconvincing.” The overture notes that none of the common English names for the Deity (including “Lord,” “God,” and “Father”) are found in the original Biblical languages. “Many word changes in the proposed book appear to be unnecessary or trivial,” without substantial support or Biblical grounds from the Songbook Committee. The extensive changes to familiar hymns in the Hymn Proposal will disrupt the ability of many older members to sing from memory, “and congregational singing will suffer greatly” from such modifications. 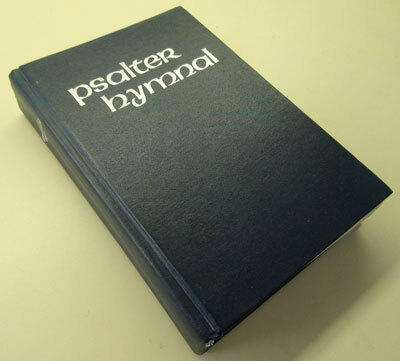 The classis requests that the URCNA seek “a smooth and painless transition” to the new Psalter Hymnal, as was implemented during the CRC’s shift from the red Psalter Hymnal to the blue in the 1950s. The Hymn Proposal “opens up old wounds” for URCNA members who left their former congregations as a result of the introduction of a new hymnbook. Let’s earnestly pray for God’s direction as Synod 2012 endeavors to attain this goal. See pp. 87-89 of the Provisional Agenda for the entirety of this overture. Below is my synopsis of the content of Classis Southwest US’s overture on Musical Suggestions in the provisional agenda for Synod 2012. Summary: Classis Southwest United States overtures Synod 2012 to refer many suggestions for musical improvement to the Psalter Hymnal Committee. Grounds: Since most of the proposed changes in this report are fairly insignificant, grounds are not provided for each recommendation. However, at the beginning of the overture, two broad grounds are given: (1) this overture follows the mandate of Synod 2010 in the procedure of suggesting changes for improving the hymnal, and (2) the suggestions contained in the overture are in line with the synodically-approved Principles and Guidelines for Selecting Church Music. Important elements: The majority of this report is composed of highly specific musical comments (“need double whole note to indicate both SA pitches,” “add extension bars (with possible passing tones) after m. 7 and m. 14,” &c.). 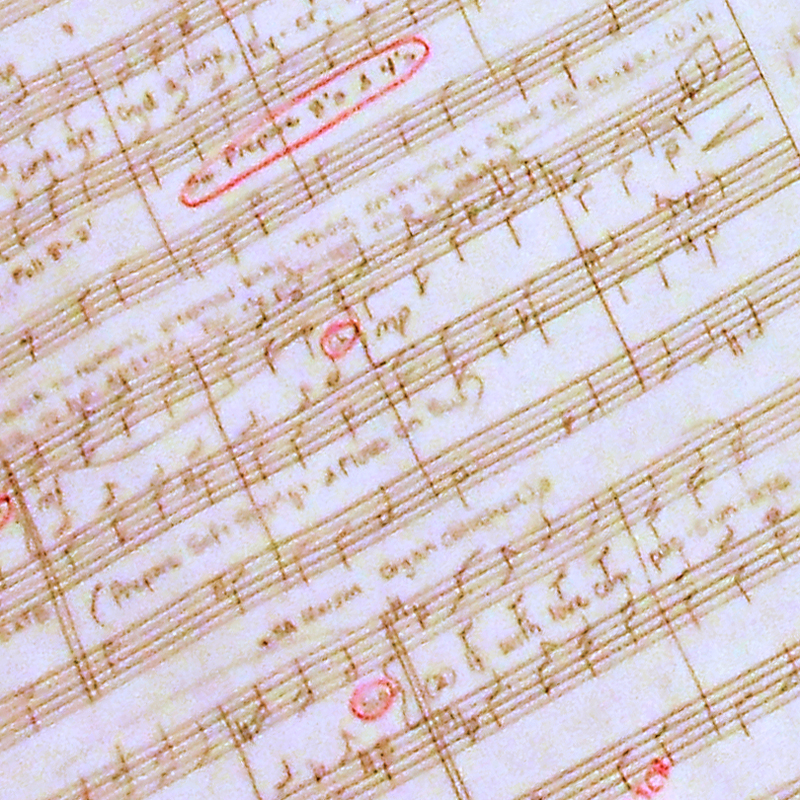 One of the most important sections towards the beginning of the overture deals with musical considerations. 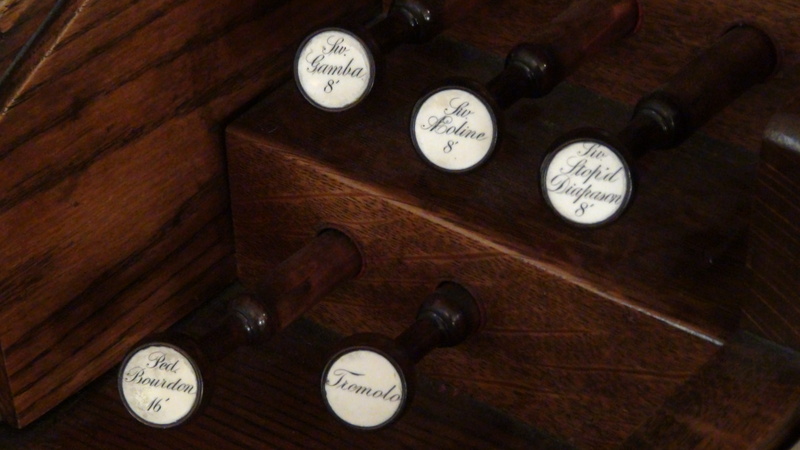 Here, Mrs. Pamela Compton expertly addresses the sticky issues of vocal range and key—often overlooked in new hymn collections, but particularly important to us as musicians. The overture also includes a list of suggested additions and removals, but it’s hard to see why this list is necessary, given the fact that both Overtures #4 and #5 deal with the very same topic (and, in many cases, the very same hymns). The overture concludes with a letter from another URCNA musician on the importance of choosing tune keys wisely. My thoughts: I’m blown away by the scope and depth of Mrs. Compton’s fantastic report. She is an extremely encouraging example of a URCNA member who realizes the significance of the church’s music. But I must ask: Why has Synod 2012 been given the immense task of sorting through this lengthy overture and approving or rejecting it? It’s my understanding that suggestions for improvement were intended to go through the classes directly to the Songbook Committee (see 2010 Acts of Synod, pp. 21-23). Should synod, a primarily non-musical body, be given the charge of interpreting this highly musical set of comments and corrections? What benefit is obtained by this apparently extraneous step? I don’t aim to question the decisions of Classis Southwest US; I’m just honestly puzzled. See pp. 57-83 of the Provisional Agenda for the entirety of this overture.